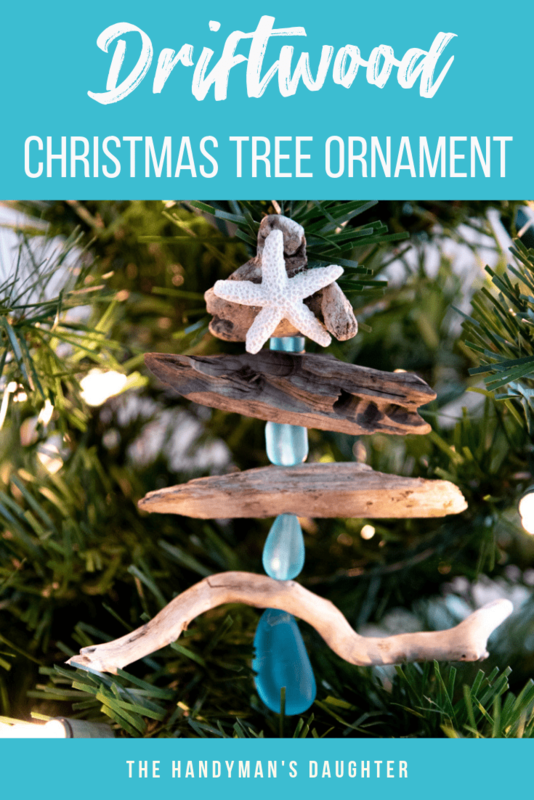 Remember your favorite beach vacation every holiday season with these DIY driftwood Christmas tree ornaments! 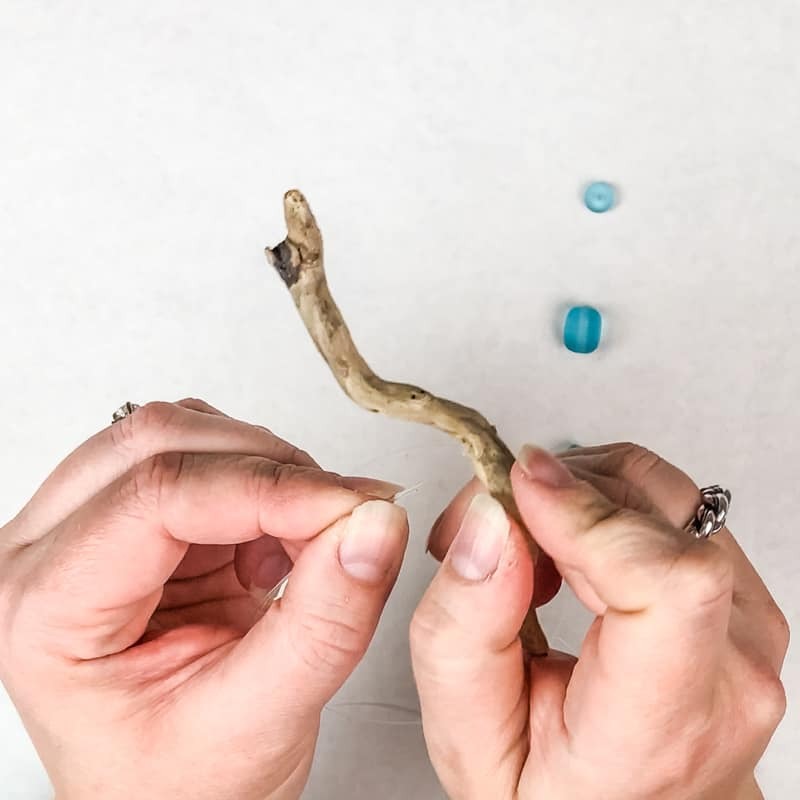 As a family, we love collecting interesting driftwood pieces and beach glass on our walks along the shore. But I never could think of a way to display our favorites, until now! These driftwood Christmas tree ornaments will give our holiday decor a coastal feel, and make great Christmas gifts too! For the Power Tool Challenge this month, we’re doing a fun Secret Santa gift swap. This ornament will soon be arriving at a fellow blogger’s home! I think it will look great on her Christmas tree this year. I only had to go down the street to collect these pieces, but if you’re not so lucky to be living near the beach, you can order them online too! 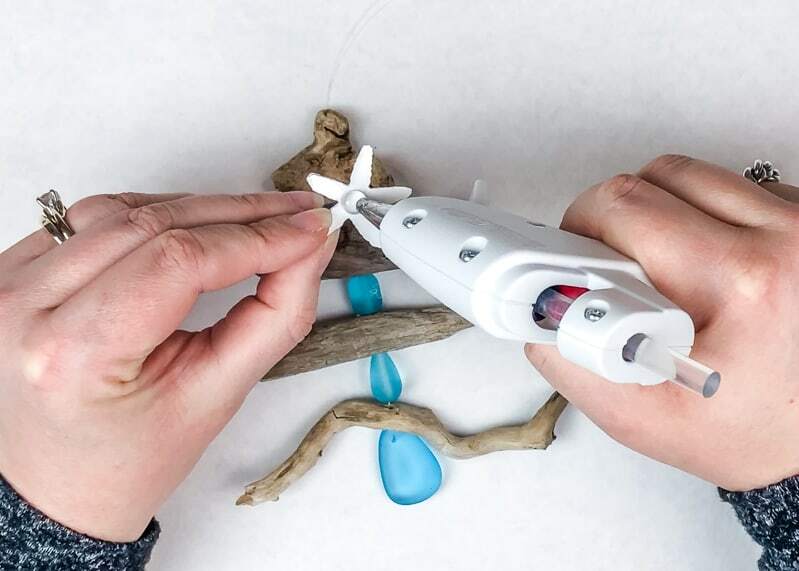 You can also drill holes through beach glass you’ve found in the sand with a Dremel. You can buy real, dried starfish, but I’ve heard that they can be kinda stinky. I went with a fake resin version. 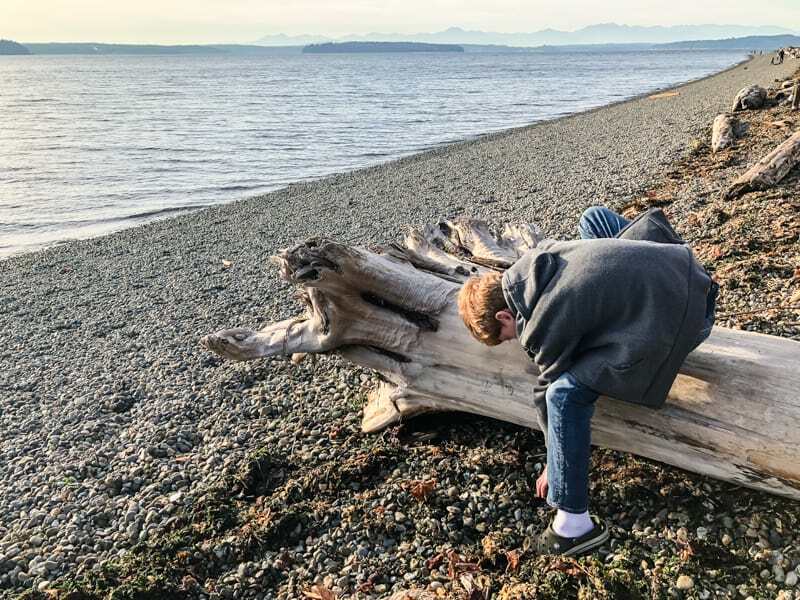 We’re lucky enough to live within a few minutes of two Seattle beaches with plenty of driftwood to choose from. My son was excited to help search for the most interesting pieces for these ornaments. We collected a variety ranging from 1″ to 6″ long, and sealed them up in an airtight bag for a couple weeks. This will kill any bugs living inside the wood, which is certainly not something you want on your Christmas tree! Scrub the driftwood pieces with a wire brush or heavy duty brush to remove any debris and seaweed that might be stuck to the outside. Choose four or five pieces of driftwood, starting with a longer 4-5″ piece and work your way down to the smaller pieces. Make sure the top piece is big enough to support the starfish without flopping forward. Drill a hole through the center of each piece with a 1/16″ drill bit. I thought about using our collection of beach glass for the spacers between the driftwood, but we didn’t have enough big pieces of the same color. 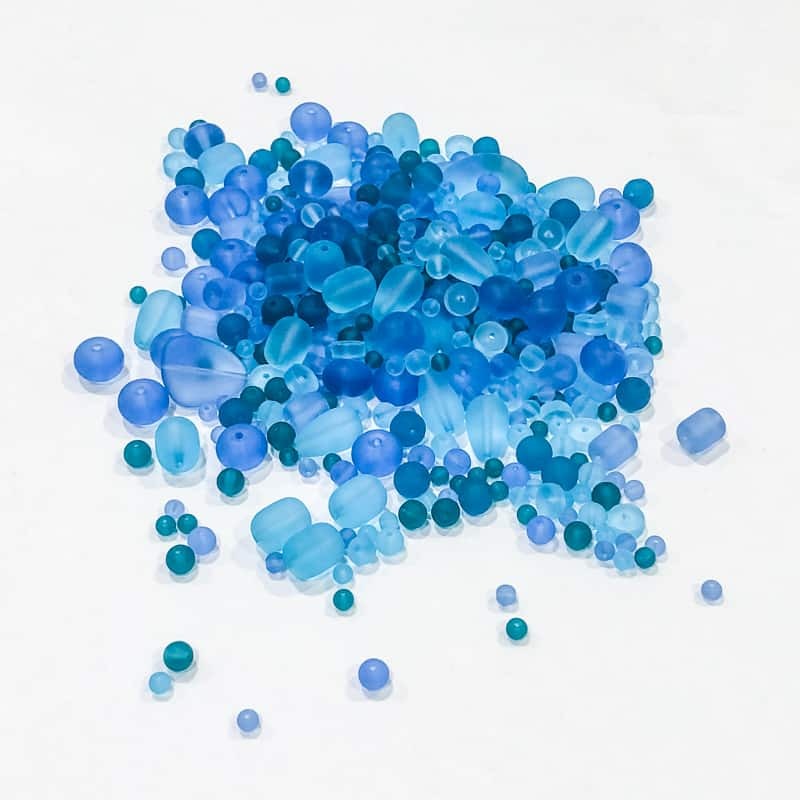 Instead, I found these beach glass beads that were perfect for this project! 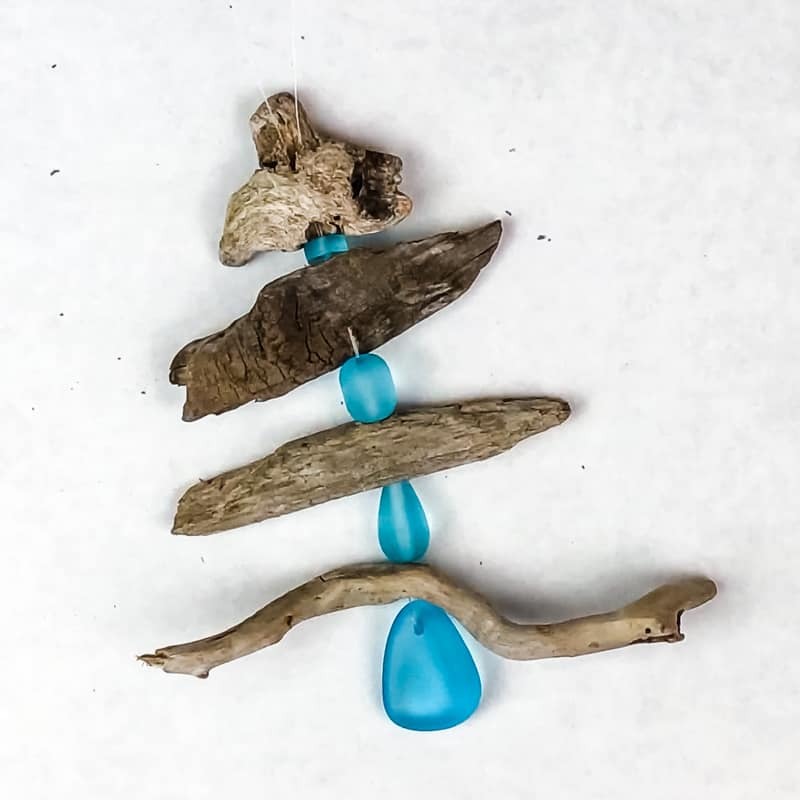 There’s a variety of sizes and colors in the pack, so I’m planning to make a few different driftwood ornaments as gifts! Start with the largest bead for the “trunk” of the tree. Then hunt for ones of the same color that get progressively smaller as you go up. Lay out all the pieces for your driftwood Christmas tree, then cut a piece of fishing line about three times longer than its height. Thread the fishing line through the bottom bead, then match up the two ends. 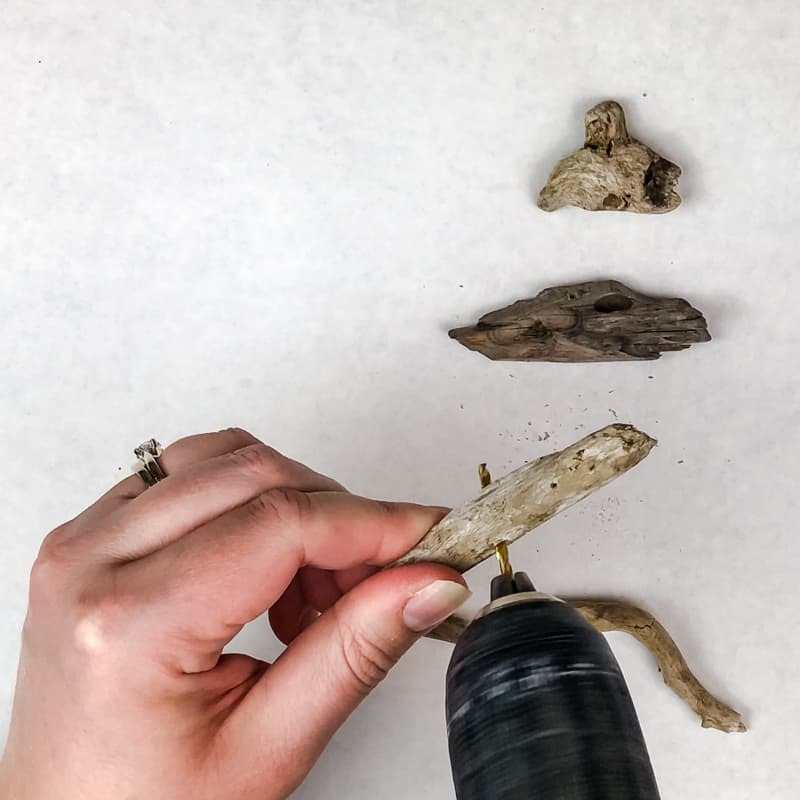 Push both ends through the hole in the bottom piece of driftwood. Continue alternating between beads and driftwood as you go up the tree. When you reach the top, tie the ends together to form the loop to hang on the Christmas tree. What’s a Christmas tree without a star on top? A starfish was the obvious choice here! You can buy real, dried starfish if you want a more authentic look. However, they can be brittle and smell like . . . well . . . dead starfish. No thanks! 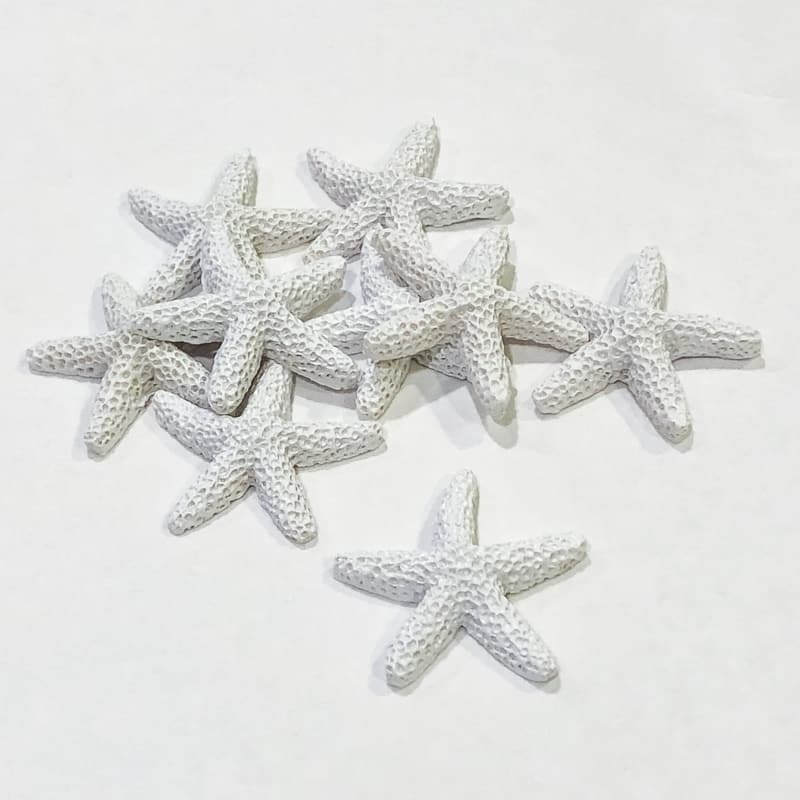 Instead, I found these white resin starfish that were just the right size! Just apply hot glue to the back of the starfish and stick it to the top piece of driftwood. Now Your Driftwood Christmas Tree Ornament is Ready to Hang! 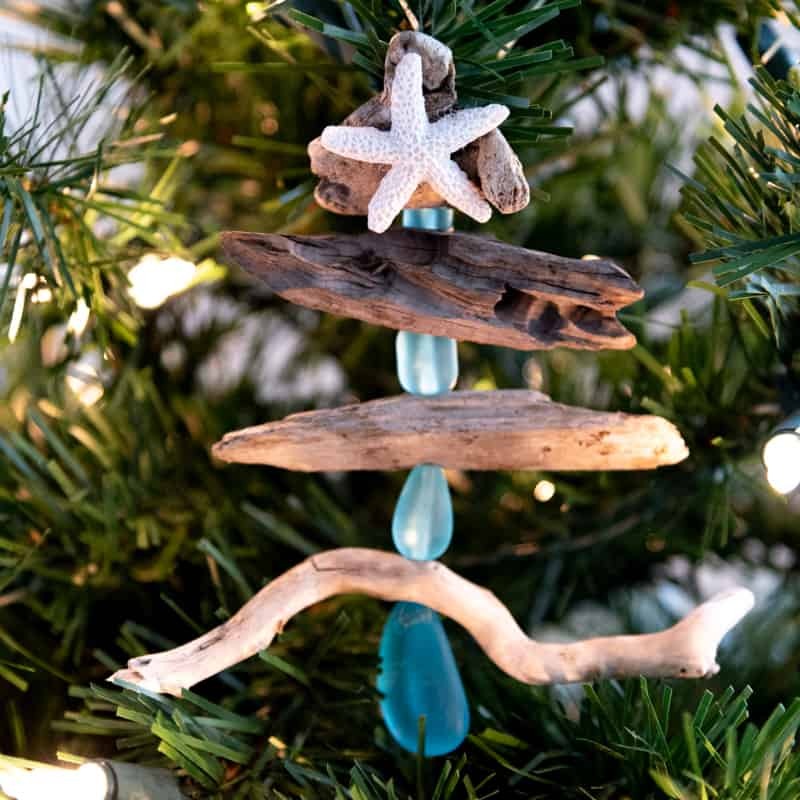 I just love the beachy feel of these driftwood ornaments! 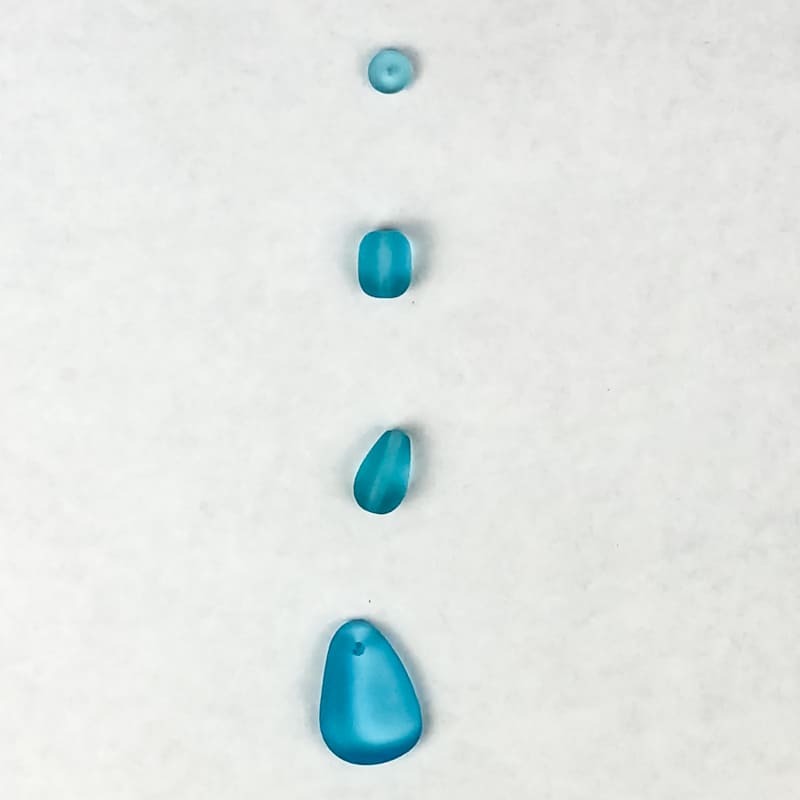 If your theme is coastal Christmas, you could fill an entire tree with these! Interesting side note: Check out the driftwood piece second from the top. Those holes and grooves are made by the Teredo clam, which likes to bore tunnels into submerged logs. The resulting wood sells for big bucks around here because of its interesting texture. I have a single board of it in my workshop that I’m planning to use for an epoxy resin project sometime soon! 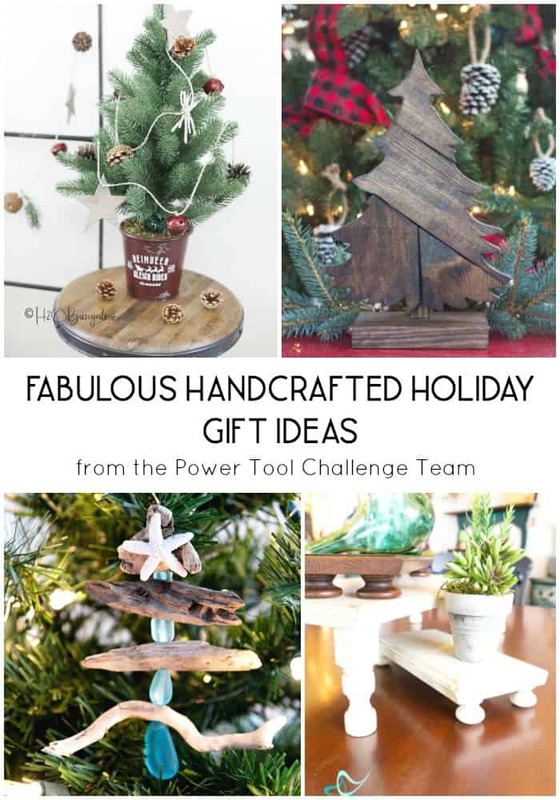 Don’t forget to check out the other projects in this month’s Power Tool Challenge! There’s some great ideas for Christmas gifts in this list! The Handyman’s Daughter – That’s me! 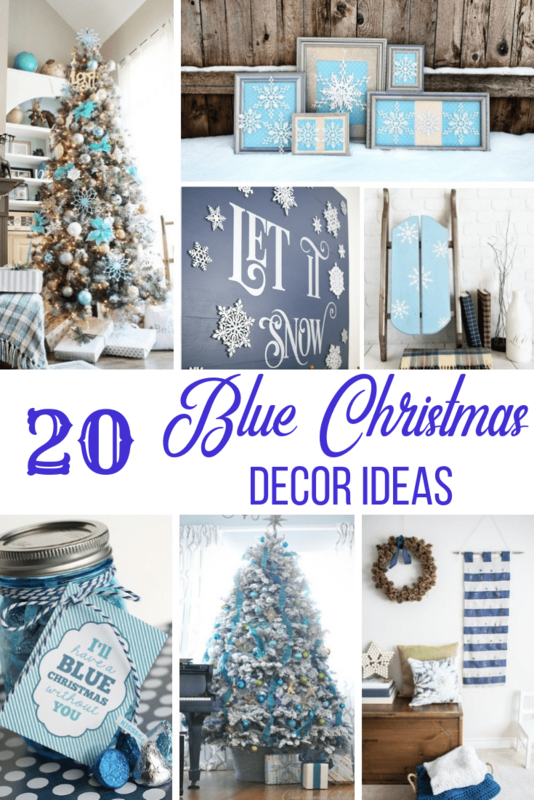 Stick with the same color scheme this holiday with one of these blue Christmas decorating ideas! 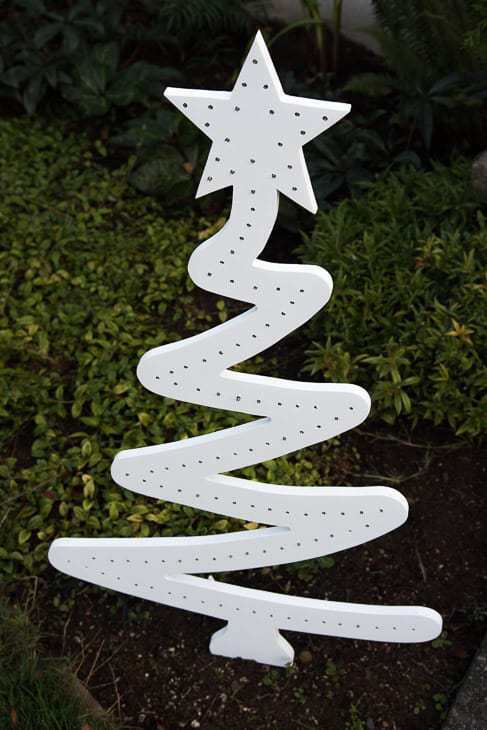 Or add a modern outdoor Christmas tree to your front lawn! How does Santa deliver presents if there’s no chimney? 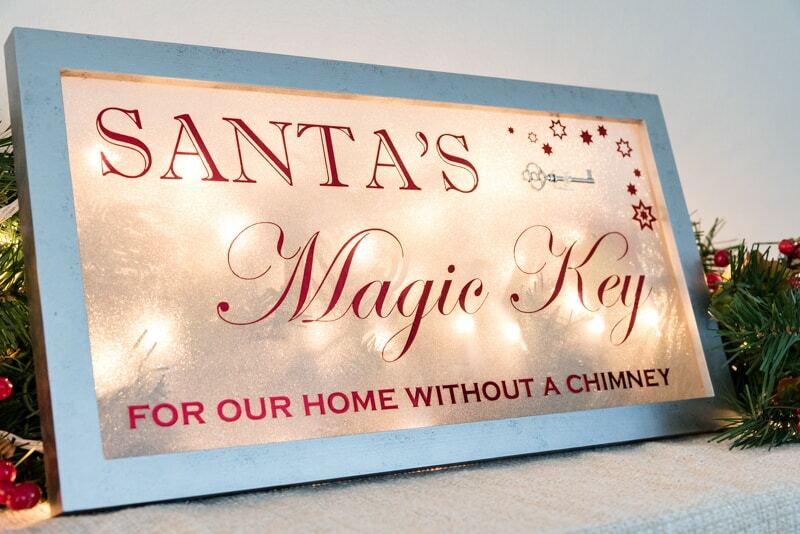 He uses Santa’s Magic Key, of course! 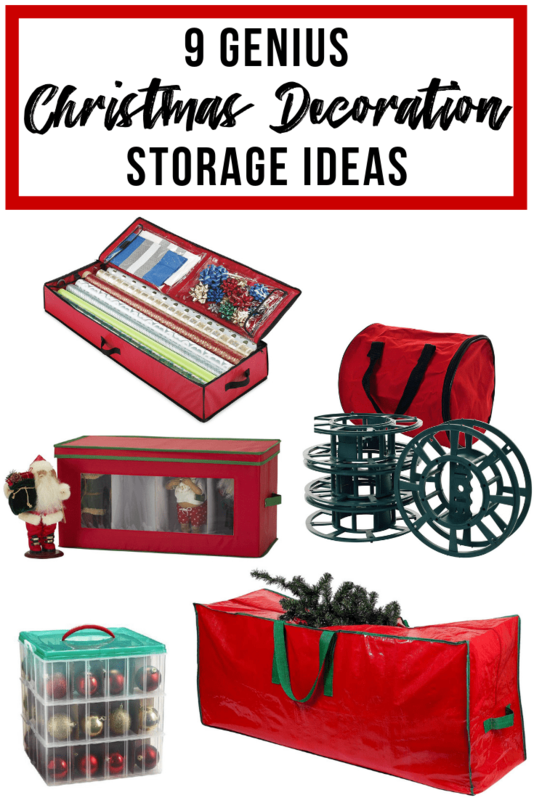 When it’s time to put away the holiday decor for next year, keep it organized with these smart Christmas decoration storage solutions! Vineta, I love this ornament! The driftwood makes it perfect! You are so lucky to live in a coastal area where you can find beautiful pieces of driftwood to use for projects like this. I taught science for 26 years, so my ears perked up when you explained that Teredo clam made those neat burrows and holes in the wood. I love this idea. I have a lot of things that I have collected from different beaches and I’m pretty sure that I can put them together and make a pretty great ornament. Thank you for the idea.